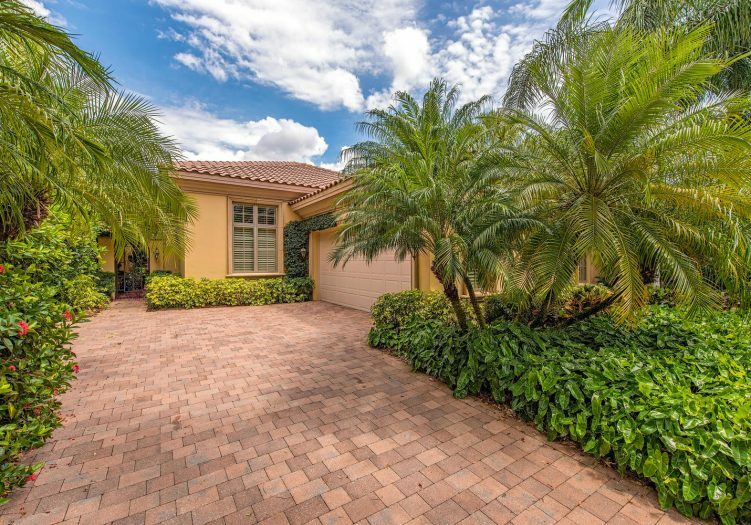 A private pavered courtyard leads to an arched entry way and stunning wooden front door, instantly setting the tone for relaxed luxury and comfort found in this exceptional villa boasting an expanded floor plan set on an oversized lot and highlighted by long sweeping lake and golf course views. 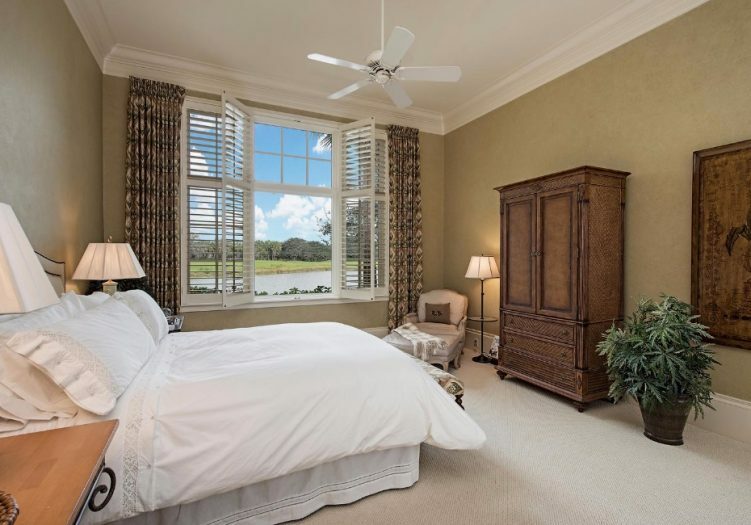 Volume ceilings adorned with wide crown moldings, large baseboards, arched passageways, extensive windows with plantation shutters, lush carpet and gorgeous ceramic tile throughout, set the tone for luxurious living throughout this exceptional residence. 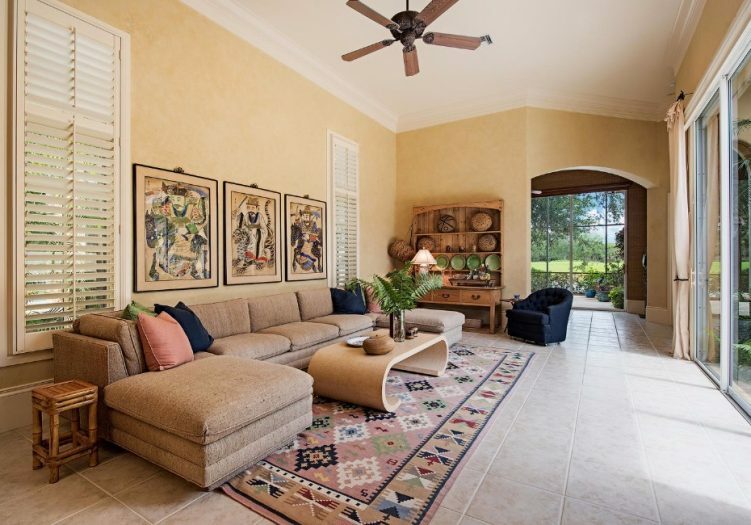 Large glass sliding doors in the formal living room open to the screen enclosed sunlit courtyard with a tranquil water feature and sparkling pool. 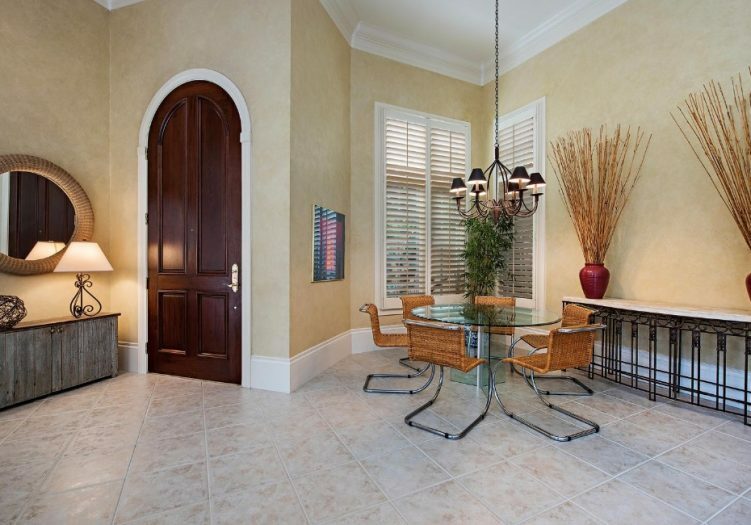 Serve family and guests on special occasions here or in the adjacent tasteful formal dining room. 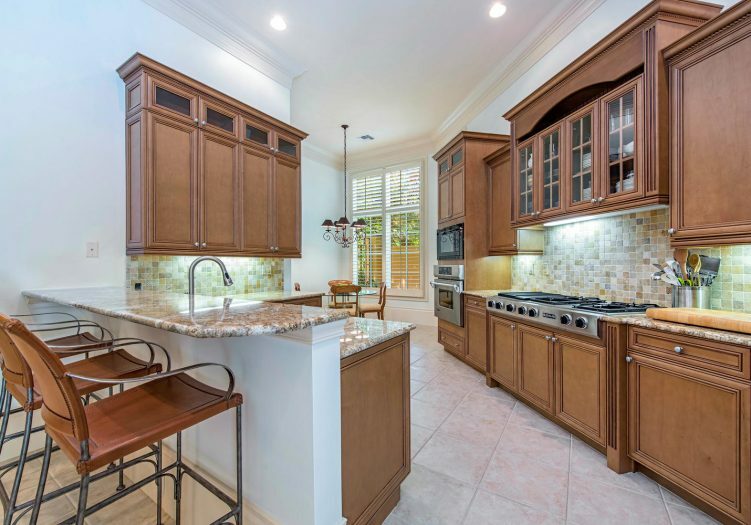 Meal preparation is a breeze in the gourmet chef’s kitchen featuring an abundance of rich wood cabinetry with glass door display shelving, state of the art Jenn-Air appliances including a six burner gas stove and grill, tumbled stone backsplash, gorgeous granite countertops. Casual dining can occur at the breakfast counter or seated around a large table in the generous breakfast area. The adjacent family room is the perfect space for informal living and entertaining with large glass sliders opening to the pool courtyard. 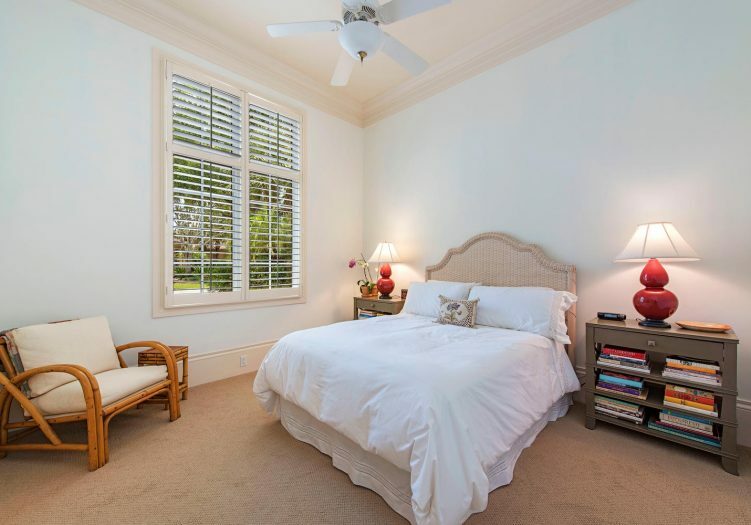 Retreat to the master suite featuring a tranquil sitting area in the bedroom alongside the oversized windows adorned with plantation shutters. The spa inspired master bathroom features a large granite topped vanity, luxurious soaking tub, and walk in shower with frameless shower door. 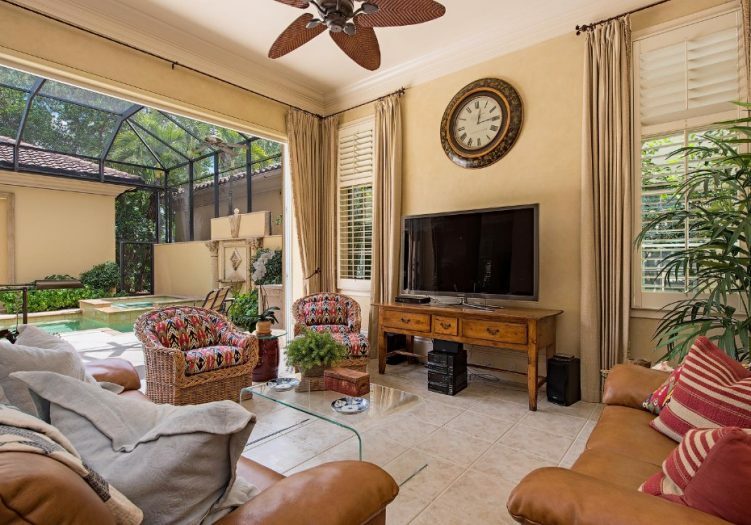 The intimate den is highlighted by rich wood and abundant natural light flooding through the large sliders into the private screened lanai. 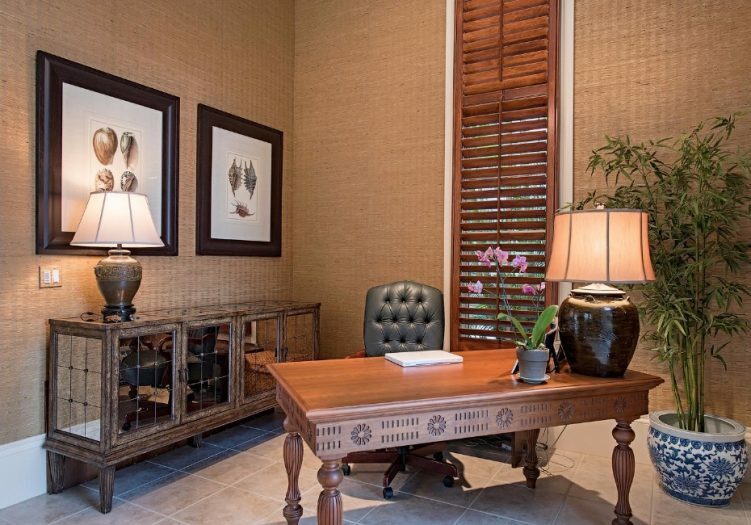 Both the den/home office and expansive master suite share the totally private and magnificent vistas and are set far back on the property. 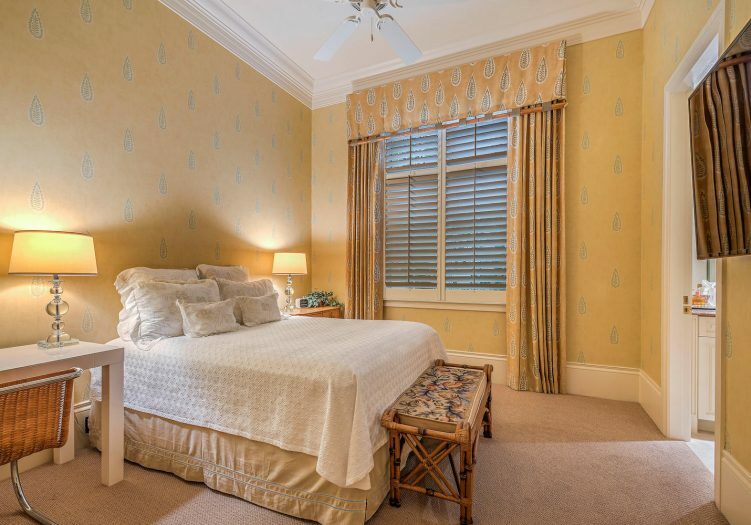 Moreover, family and guests will feel right at home in their comfortable suite accommodations, each with their own internal bath. 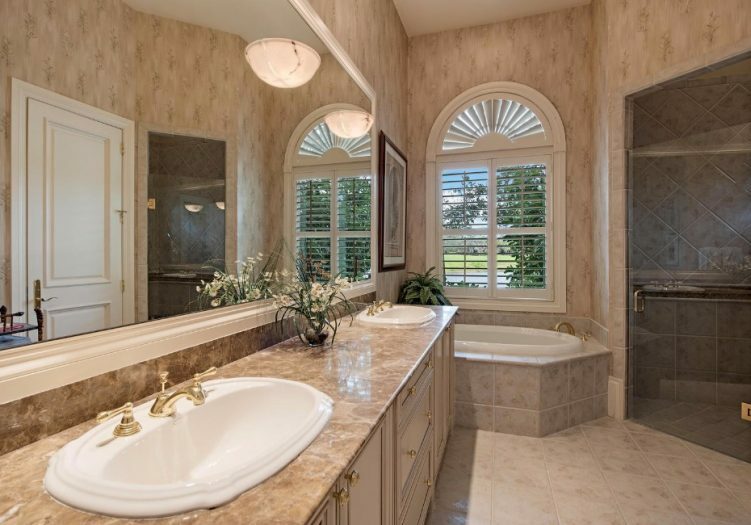 Also, a centrally located powder room adds more convenience for everyone. 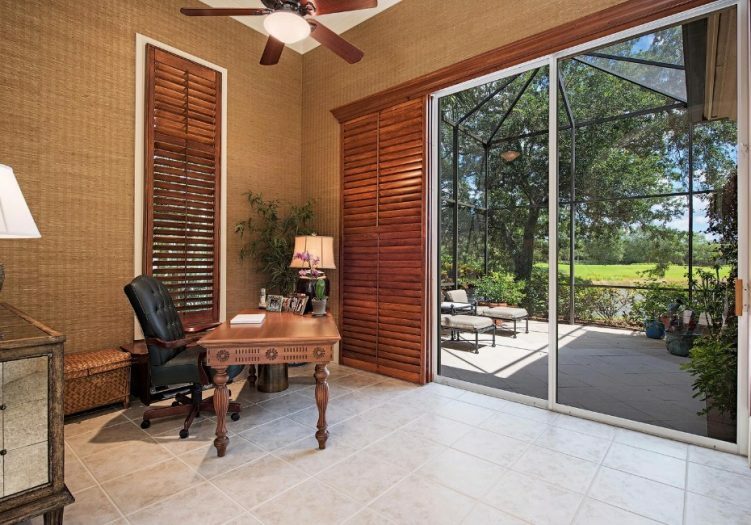 Endless outdoor entertaining possibilities abound with two private screen enclosed lanais. 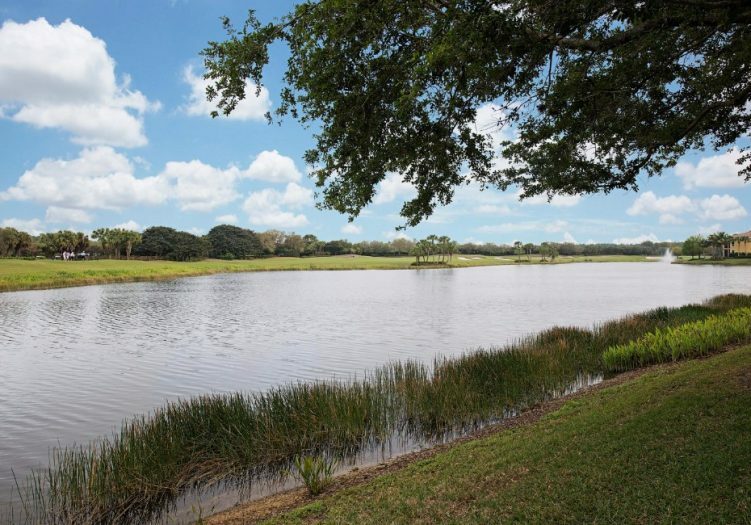 The rear one overlooks the beautiful lake and the 7th fairway beyond and is ideal for morning coffee. The expansive pool courtyard is bordered on three sides by the master suite, living and family rooms, and on the fourth side by an ornate stone fountain and privacy wall. Relax under three fans and enjoy the soothing sounds of this water feature or the music piped throughout this home and outside through mounted Bosch speakers. The courtyard retreat is beautifully up-lit at night, as are the stately front and back landscapes on this highly coveted rear lot. 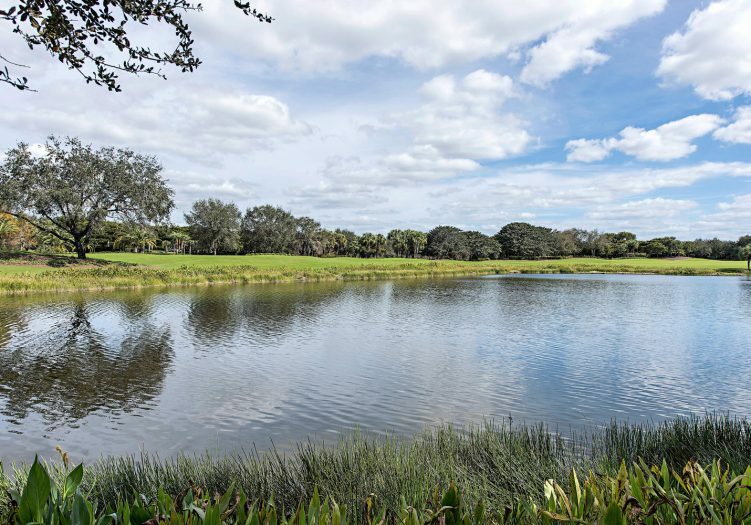 This delightful villa has all the amenities you desire for living the golf course lifestyle with sweeping long lake and fairway views.